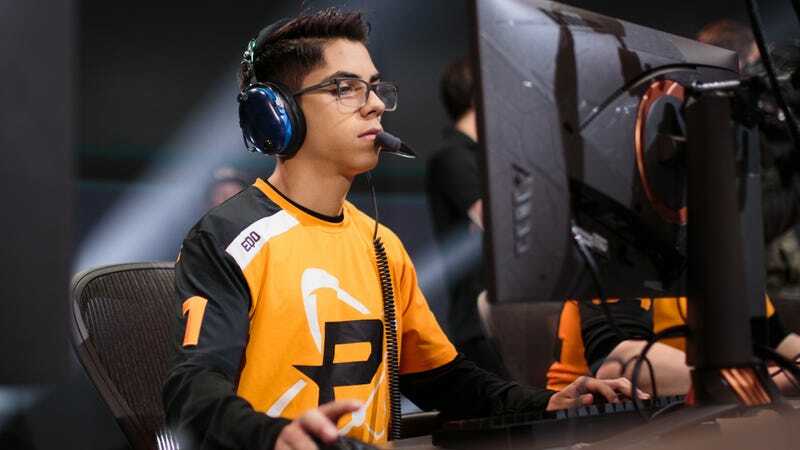 Josh “Eqo” Corona of the Philadelphia Fusion is in hot water with his team and maybe the Overwatch League after making a slant-eye gesture about Korean players during an Overwatch stream last weekend. After someone compared his skill to a Korean player’s, Corona (who was born in Colombia and raised in Israel) said “I am Korean” and pulled the outer edges of his eyes back. The Twitch video and clip have since been deleted, but screenshots and a Streamable capture of the moment are still hovering around. The gesture is similar to the one Astros first baseman Yuli Gurriel was suspended for making at Dodgers pitcher Yu Darvish in the World Series last year. Fusion president and Comcast CEO’s son Tucker Roberts responded on Twitter to apologize for Corona’s behavior, and said “we are working on a punishment now.” The Fusion has multiple Korean players on its roster. Obviously l apologize to anyone that got offended this clip got is out of context a bit since I was complimenting the Koreans before the clip and after the clip and did the gesture more in a form of wanting to express myself being like them since I admire them not making fun ..
Eqo made an explosive debut in stage 2, bolstering an already surging Fusion lineup and adding to the team’s stable of solid DPS players. The OWL’s code of conduct gives it incredibly broad and vague powers to punish players for this type of behavior; Eqo’s consequences could range from a small fine to a multiple-game suspension. We’ve reached out to the Overwatch League and Philadelphia Fusion to get more details on any coming punishment, but have not received them by the time of writing. We’ll update the story when we do.